The singing voice of hope in a ruined city. Rin&Len Birthday is coming ! Let’s celebrate the 5th anniversary of Kagamine Rin/Len on December 27th, 2012! 22 Desember 2012 | Categories: Vocaloid | Tags: Dalarna County, Games, Kagamine, Len, Malung, Shopping, Sweden, United States | Komentar Dinonaktifkan pada Rin&Len Birthday is coming ! Now we proudly announce another Miku Bingo with our much stronger server system! Let’s have a Birthday Miku Bingo party on MIKUBOOK! We are excited to announce, MIKUBOOK presents “Birthday Miku Bingo” ! Its free! We have special presents for lucky winners!!! 30 Agustus 2012 | Categories: Vocaloid | Tags: August, Games, Hatsune Miku, Hatsune Miku: Project DIVA, Miku, Sega, Television advertisement, Vocaloid | Komentar Dinonaktifkan pada Let’s have a Birthday Miku Bingo party on MIKUBOOK! Sega official Weekly Diva Station blog revealed the results of a design contest for this month’s Hatsune Miku -Project Diva- F rhythm game on Tuesday. 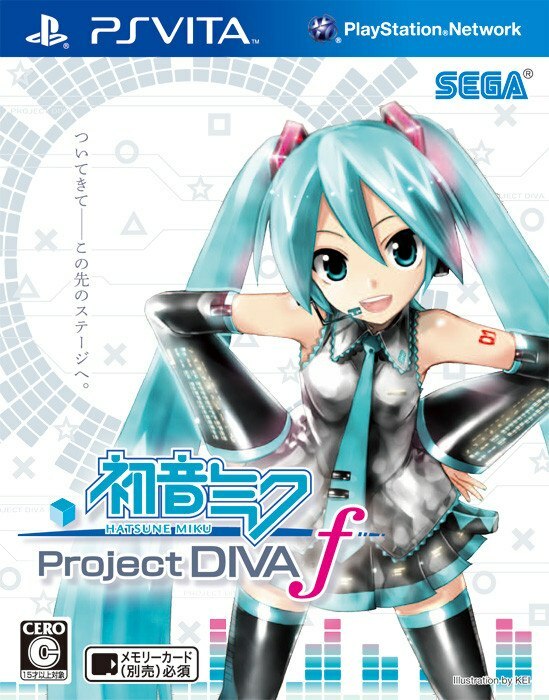 Hatsune Miku -Project DIVA- ƒ is the latest installment in the rhythm game series from SEGA and Crypton Future Media. This time around the new title will be available for the Playstation Vita — on sale August 30th. Alongside a drastically improved interface, “ƒ” offers added refinements for an even better gameplay experience; as well as a variety of new features guaranteed to entice player’s of all skill levels. Sega have revealed that a bonus custom PlayStation Vita skin will come with copies of Next Hatsune Miku Project Diva. The skin will also come with a matching wallpaper. You can check it out as well as two screenshots after the break.